As teachers, we all want to promote lifelong reading. That's a given. How we DO that as teachers, grade levels, and schools tends to vary. Disclaimer: I think that these may have merit and are well intentioned. I've tried them. However, they just don't work for me! I'm kind of an "everybody is a winner" kind of teacher. I'm super empathetic. As a mother of both a "gifted" student, and one who received services for learning disabilities---I often view my classroom practices through their eyes. My teaching peers use many of these. No judging--it's just not for me. My problem with this? You reach the total--then you're done. My box-checkers will opt for the quick reads to make sure they are done. What about your high flyers that are reading more complex books? That reader either opts for quicker reads just to meet the criterial or makes the choice to read what they like and NOT make the goal. My less confident readers might see this random number as intimidating and be even MORE frustrated. I'll be honest here. I've always quietly NOT participated in this with my class. I just want my kids to read. Kids will have a sudden SURGE of reading at the END just to get some junky prizes. Umm, I'm not a fan of that either! The A.R. cart would start popping up in the hallway, and my kids start making mad dashes to the classroom library or trying to remember books they've read to take tests. Silly friends-- they've already run the reports. Then they are bummed. This is a pretty efficient system of record keeping. I've done it. Kids can see their progress. But….. they can also see everyone ELSE'S progress. I just don't think this is good for ANYONE. I have high flyers who are a bit embarrassed by the attention. Then there are some that use it for bragging rights, too. Then there are your kids who are trudging along and start to feel they'll never catch up. Why bother? Thinking to themselves….If I just stop, I can just tell people I don't care. Deep down though….they feel defeated. The last several years we tried promoting reading different genres. 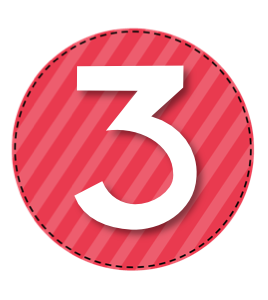 3 books or 300 pages (Grades 3-5) and you earned a Brag Tag of that genre. "X" number of Brag Tags and you got to attend the Hot Chocolate Party before Winter Break or the Snow Cone Party at the end of the year. Instead of AR tests, you wrote a summary in a journal and had book talks with our Reading Coach. More promising system in that it promoted writing and not necessarily AR tests, but yet again, readers stopped reading/writing once they knew they weren't going to make the goal. Boys especially hated the writing part and weren't dazzled enough by the Brag Tags. Once more, you had kids making mad dashes to write something in their journals. I had sneaky misses & misters that would copy the book jacket. Maybe they just didn't have the writing skills yet? Idk…. 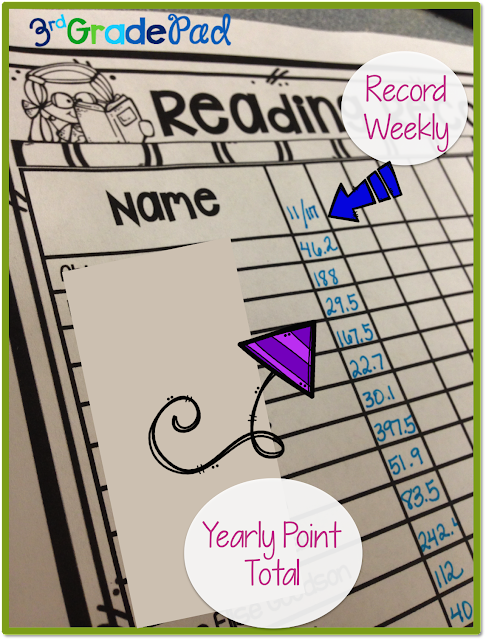 This year, our school has gone back to AR points. However, our coach set the AR goals based on their reading level. Somehow it is calculated that reading 20 minutes a day at a certain level will equal a certain number of points. I'm not a huge fan of AR. However, this is being done school-wide, so I need to find a way to be okay with it in a way that benefits my students' needs. I really like this particular meme….and ones that are similar. 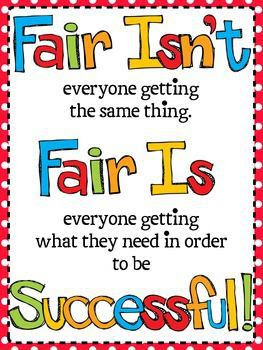 It is not FAIR to set the same goals for all students. 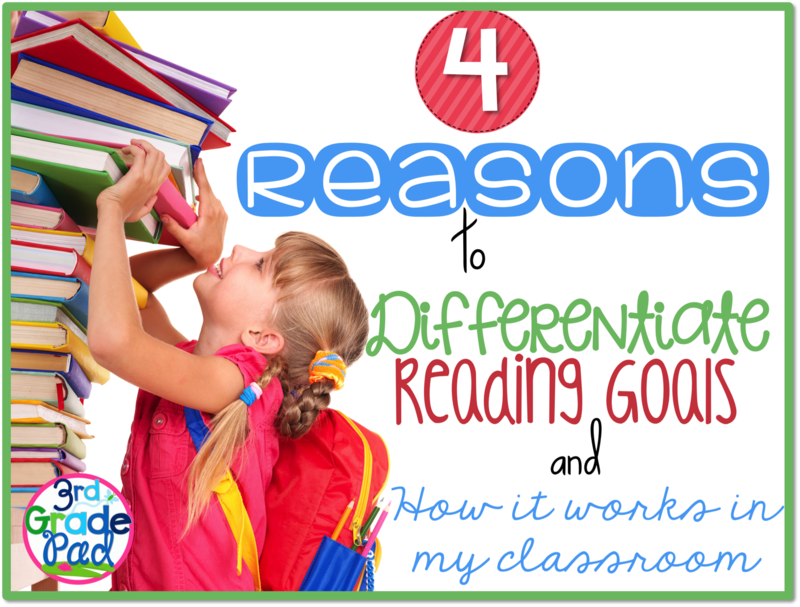 If the goal is to promote reading, then as teachers, we need to promote reading--not a random number that seems reasonable to us. No matter what type of reader we have in our classroom, it is our job to take them where they are and move them forward. Recognizing these differences is the first step in promoting success in the classroom. If your friends don't see themselves attaining or achieving the goal you set for them--they won't even try and see themselves as being less. We don't want that! 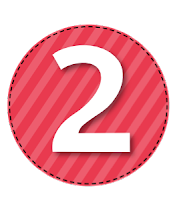 It is equitable to give students attainable goals. 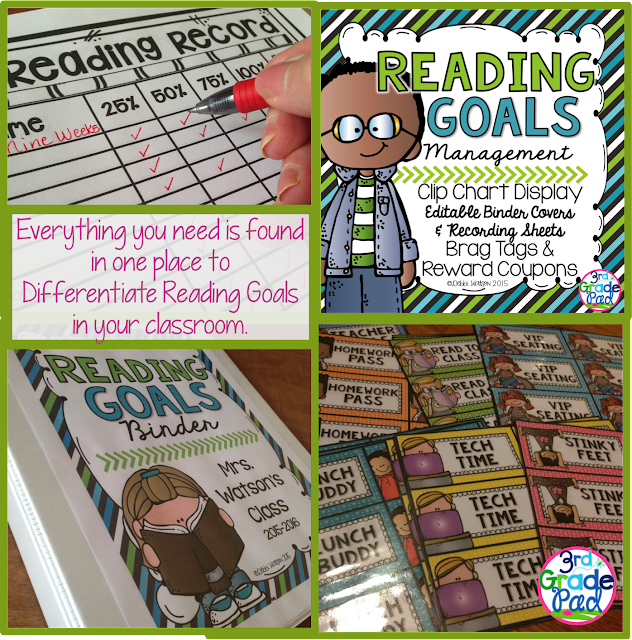 If I must have reading goals mandated, I don't want a "One Size Fits All" approach. 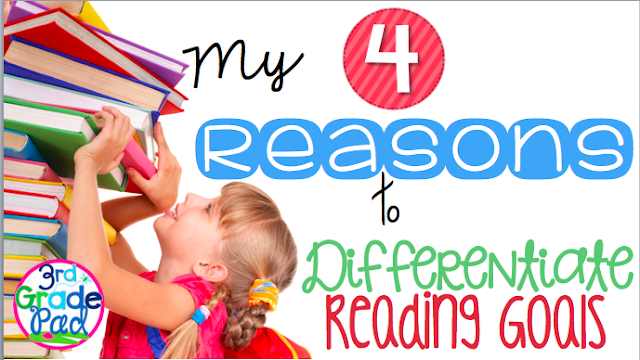 I've shared with my kids that reading is a lot like training for any sport or hobby they enjoy. You can't show up on game day or become skillful at their hobby and have NEVER practiced or stumbled along the way! Daily reading will get you ready for ANYTHING! Having a purpose is the beginning of having meaningful conferences and discussions about what a child is reading. These conferences and talks are my favorite part of teaching reading. This is how I partner my kids to go to the library together for recommendations. too. Personal truth? I would RATHER help my students set their OWN goals. That is what I've done in the past. If YOU are in the position to choose--do it! 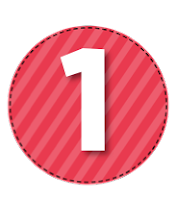 However, conferencing 1:1 is a way to support your students progress rather than just saying, "Here's your goal--go!" 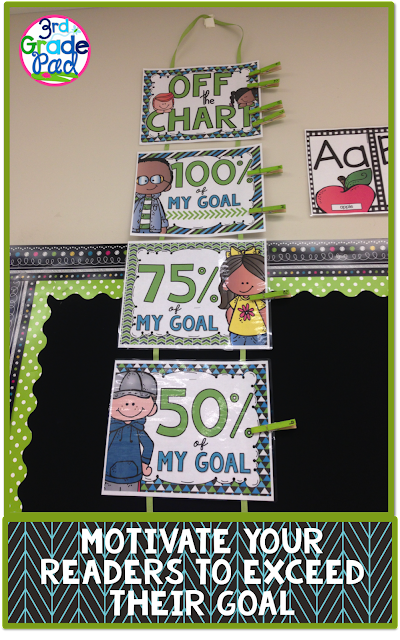 Much like the clip charts for behavior, I created a clip chart for my students to track their progress towards THEIR individual goal. No one knows but the students what the goal is….but they are ALL capable of attaining it! I might have 10 friends at the 25% level at the time of this photo, but the level they are reading and the points earned for accuracy on AR are very different. 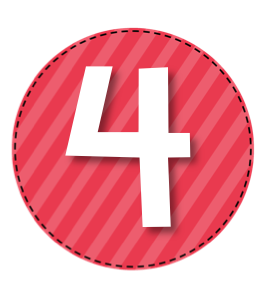 Unlike the end-of-term method for rewards, ongoing monitoring of a goal needs to be taking place. Every Monday afternoon, I run the AR reports for the grading period. I send these home in my friends weekly folders so that the parents can see what they are reading and how they performed. This also gives me the opportunity to conference with my kids about their accuracy, if they are sticking with a book or abandoning them quickly, if they need book suggestions, how they feel about their progress, etc. I also run the report that tells me the percentage of their goal attained. We talk together about that, too. After I have conferenced with my students Tuesday morning, it is time for the big announcements. Time to move up the the chart! Each time they move up the chart, they earn a Brag Tag for their percentage. We wear them on Tuesdays. 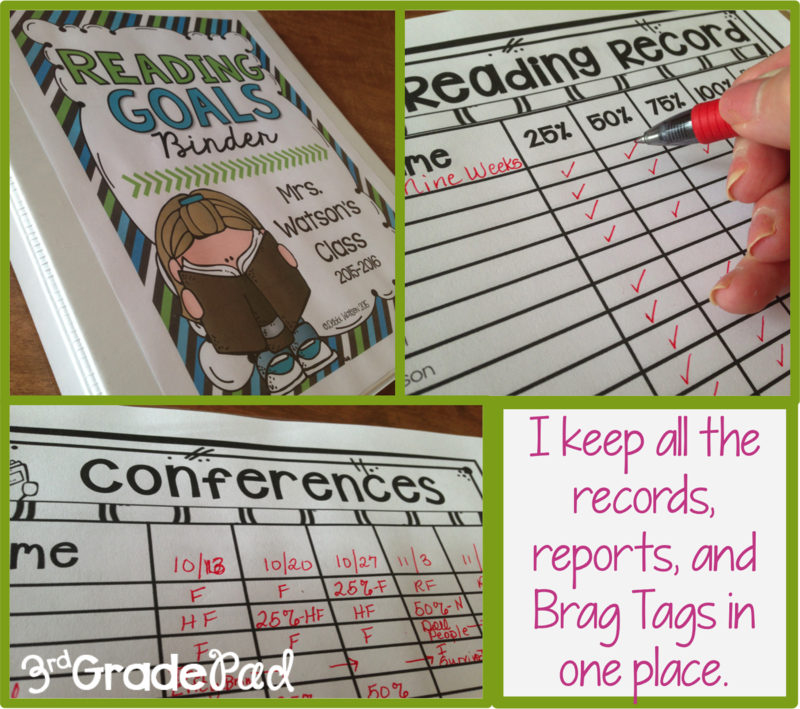 I do other types of Brag Tags--not just reading--but this is one aspect added to our day. I know that I could cut them all out and put them in some cool container. This girl ain't got time for that! I just cut what I need Monday afternoon, write their name in Sharpie on the back, and I'm ready to go on Tuesday. The rest are safe and sound until next week. As I stated before, I'm not a big fan of waiting until a "Big Moment" to recognize progress. Yes, in the real world, you do have to cross this finish line in any race. But I don't want my kids to be box-checkers when it comes to reading. There is no "Prize Box" in my classroom. I am not one for giving my kids to get tangible prizes. I might give out "Smarties" or "Nerds" from time to time What I PREFER is for my kids to earn privileges. So, each time they move up the chart--they get to "Pick a Privilege." 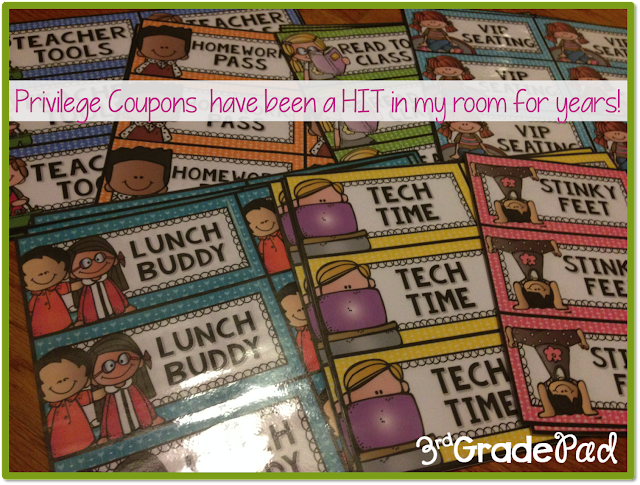 A coupon that they can redeem to me---thus, they pick an "ACTION", not a thing, as recognition as they move toward their goal. No waiting until the end, no disappointment for not getting the BIG prize---this coupon happens WITH the Brag Tag. You can earn the same privilege each time or vary it. Each rung on the chart is an equal accomplishment to be celebrated. Everyone has their own currency, so I polled my kids at the beginning of the year, and we decided what they wanted to earn. Stinky feet, VIP seating, lunch buddy, tech time, reading in "The Pit" (a cool spot at our school), and furry desk friend. But what about those kids who get to the 100% mark, and there are weeks left in the term? 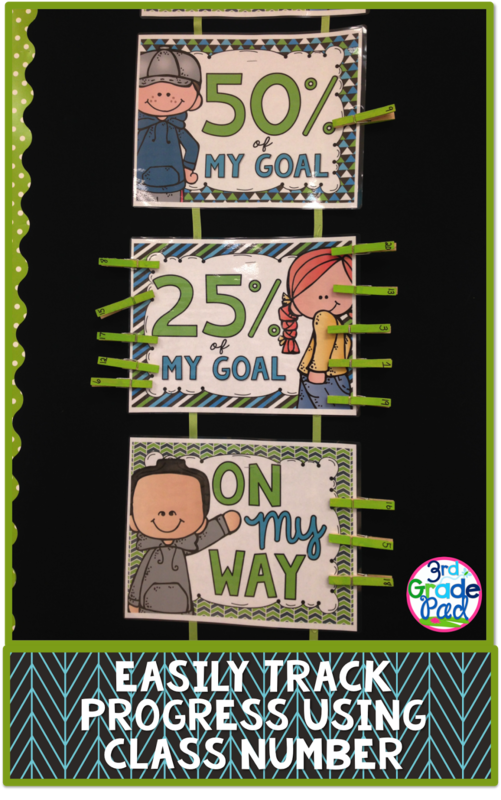 I added an area that once they achieve 125% of their goal, they move "Off the Chart". 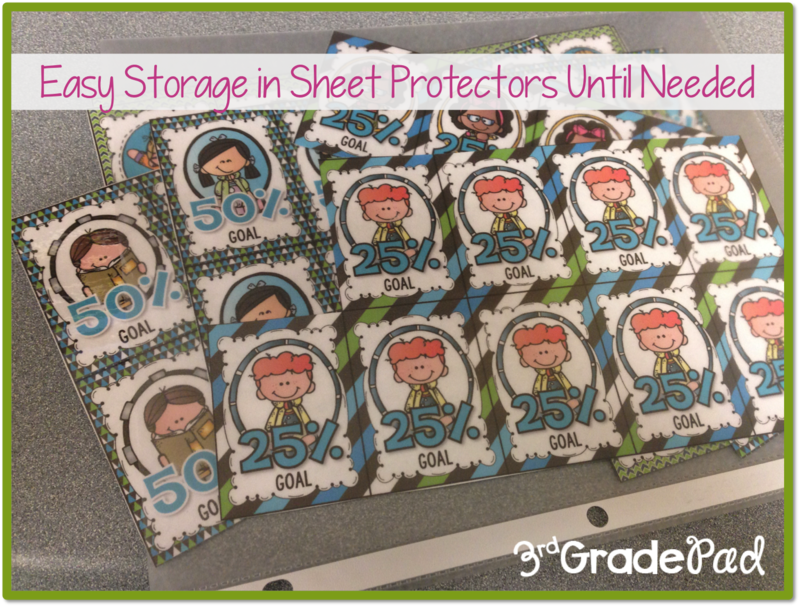 Each time they earn an additional 25% of their goal, they earn another Privilege Coupon. This keeps my readers reading--no matter where they are. It keeps the discussions going in our conferences. It minimizes the "box-checking'" AND…..my lower level readers can be in the same company as my higher readers. In the end……I just want them reading. Building fluency. Building vocabulary. Sure, there is some pesky bookkeeping with this. I have a few simple pages in a binder that keeps it simple to manage for me. Paper is my MONSTER, so I don't want too many forms! I keep records of their yearly total (we have school-wide recognition for yearly points). So I want that information at hand so that I can let them to know when they are getting close when we conference. Create a "Go-To" spot to keep your records. A binder works best for me, but my teacher friends love to keep checklist on a clipboard. Whatever works for you! This system creates the perfect balance for me. If you need to step up your organization and motivate your readers in a new way, I've added my resources into my store. Click the image to see it in my store! Happy teaching and #HappyClassrooms! We are using the same type of goal setting with AR. Last 9-weeks we did a practice run, it went mostly OK. I love the addition of using brag tags beyond the 100%. I was lucky with my group. I had students shooting for beyond their goal on their own. I had one reach over 500%, and he was one of my upper readers with a high points goal to start. I was very excited. I am going to try to add some of your ideas to make it go even smoother. Thanks for this great post. This is very interesting. I have very similar thoughts about AR and setting child specific goals, I just never really found a way to do it. Thank you for the overview, I am looking forward to bringing this to my ESE teacher and coming up with ways to implement a goal system in my classroom. All I Want for Black Friday is….